Hello darling! I'm Tara. Designer of pretty things, taco lover & champagne addict. Pull up a chair, let me pour you a glass of bubbly & get to know a little more about me & my fabulous home, Avenue Twenty-One! We’ve been flirting with you all for a few months now. Showing a little of this & a little of that. But we haven’t really went all in just yet – and now’s the time! We are telling you all about our custom gift boxes! 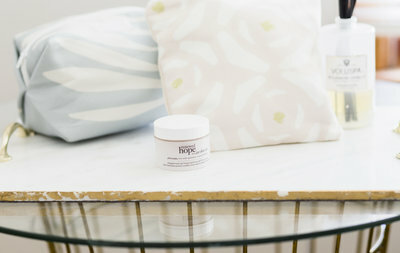 Starting this month, we are offering full service & perfectly curated gift design. 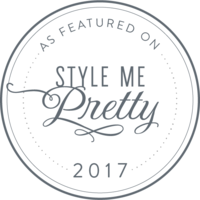 We’ve broken our services down into 5 categories of completely gorgeous gifting that we know you will love! Over the next couple of months we’ll be rolling out a detailed series of posts so you can read a bit more about how our services work, how we can completely customize your gifts & some other helpful gifting tips! We started our fancy little business specializing in weddings so it’s only natural that it’s still such a large part of what we do! 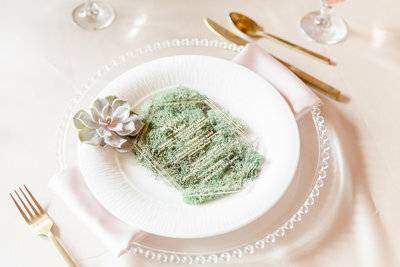 Your wedding should be completely unique and reflect your style & we make sure that your wedding welcome gifts are just that! Your wedding guests will love entering their hotel rooms and see a personalized gift just for them! We can create custom wedding tote bags, design wedding welcome itineraries, find the most delicious snacks, source meaningful local products & tie it all together with a perfectly tied bow! We happily walk you through our exclusive design process to ensure that no detailed is left unfinished! After, we’ve created your perfect wedding welcome gift, we work with you to make sure that your gifts safely arrive to their destination! We always feel oh-so honored to be a small part of your big day & we make sure that you know it! As a small business we absolutely know how difficult it is to wear all the hats! We also know exactly how important each and every customer & client is. That’s why we strive to take our custom client gifts to a whole new level! You won’t find any tacky logo promotional material here! We work with you to curate a gift that is true to your brand but something your clients will LOVE to receive! 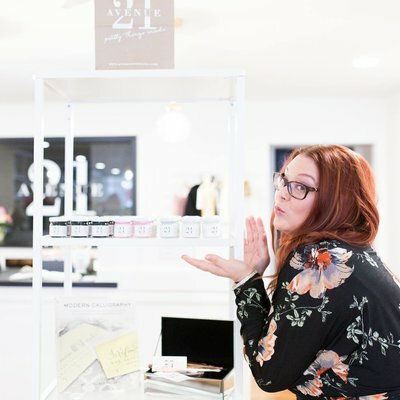 We work with small & large businesses from all over on their gifting needs! We love working on photographer client gifts, corporate holiday gift boxes & small business custom gift boxes. When we work with you on your curated gift, our own brand steps aside to let your brand shine through! You’ve spent hours pouring over content, finding the perfect location, planning & prepping for your creative workshop – and now you need to show your attendees how much you appreciate them. Our unique custom workshop gift boxes are exactly what you need! Our design studio can create custom boxes, bags, stationery, drinkware & more to add to your gift baskets to truly personalize your gift. We also offer exclusive styling boxes that are perfect for photographer retreats & creative workshops. Have sponsors for your gift boxes but not sure how to pull them together for a cohesive look? Let us do the hard work for you! We’ll work with your sponsors to collect, design & finalize your workshop swag so your attendees are wowed! In a time crunch and need beautifully curated gift box options? Well we’ve made it simple for you! We’ve scoured our favorite vendors to put together gifts for all occasions & holidays. Our gift box options include: bridesmaid gift boxes, bride to be gift boxes, baby gifts, mommy to be gift boxes, new home gift boxes, seasonal gifting & more! Simply add the box to your cart, leave your note for us & we’ll include a hand written note, package it all pretty & ship it to your recipient! The shipping process only takes 2-3 business days so it’s a no brainer way to get a quick, beautiful & meaningful gift to your loved ones! We’ll be updating our pre-curated gift boxes often so check back often to see when we add new gifts! Need just one gift but want complete control of your budget & what’s inside of your perfectly pretty gift? Then our build-a-box option is perfect for you!!! Simply head over to our shop and choose your favorite items to add to your box, bag or basket. We’ll walk you through everything step by step. After you submit your order, we get to work assembling your gift and of course, include a hand written note to your recipient! Our inventory rotates frequently and we’re always looking for fun, new brand partners to add to our shop! We’ll have seasonal, holiday and even regional specific collections for you to choose from to make sure that our product options are right on point with what you’d love to send to your recipients! Our custom gift box options offer the most flexibility of any gifting company & we love that we get to bring you something unlike anything you’ve ever seen! You won’t see any cellophane or generic jams here. We work with artisans & brands from all over to bring you quality products that you are proud to give to your favorite people! 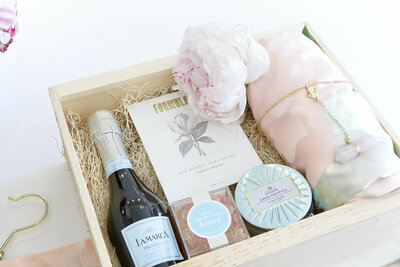 Our custom gift boxes are the prettiest way to send a meaningful gift. If you have a custom gift project you’d love to work with us on then we want to hear all about it! Just shoot us a message and start a conversation on how to make all your gifting dreams come true! xoxo! « Here We Come! 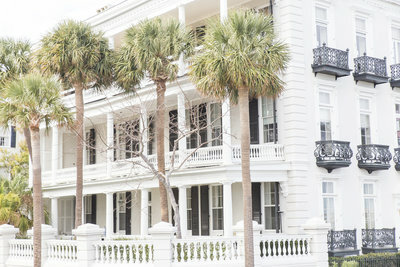 Moving to Charleston, South Carolina!